The Beneteau Oceanis 473 Performance Commodore is an ideal yacht for sailing easily and safely. 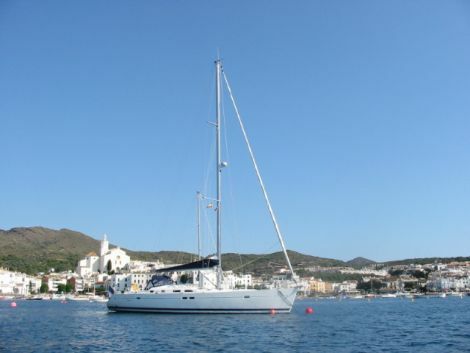 This Beneteau Oceanis 473 is owned by a French Marine Captain, and has never been rented. Below the deck, she offers three cabins accomodation, with an ensuite master suite with private head and separate shower forward, and two afterward cabins sharing a head and shower compartment.